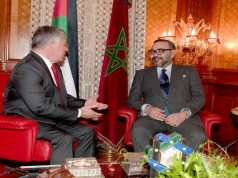 New York - Morocco’s King says ISIS terrorists “are not Muslims,” calls on the Moroccan diaspora to be the advocate of peace and coexistence between cultures and religions. 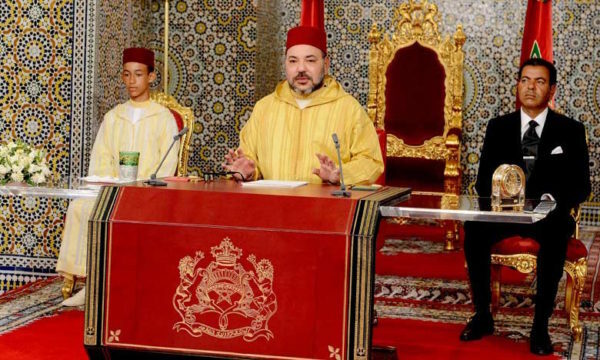 New York – Morocco’s King says ISIS terrorists “are not Muslims,” calls on the Moroccan diaspora to be the advocate of peace and coexistence between cultures and religions. 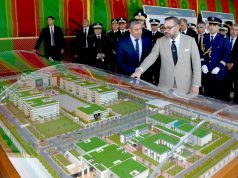 King Mohammed VI delivered a speech on Saturday August 20, 2016, that reiterates and emphasizes Morocco’s foreign policy, and puts into perspective the Kingdom’s vision to counter the scourge of terrorism. The king seized the opportunity to emphasize the high priority Morocco accords its African policy and its determination to play a leading role in Africa. 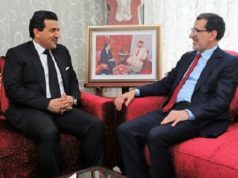 He also took the opportunity to reach out to Algeria and call upon it to reconsider its hostile positions towards Morocco in order to build a better future for the peoples of the Maghreb. What is most striking about the speech is where the King condemns terrorism unequivocally, and defines the position of Islam in relation to the concepts of jihad and martyrdom. The monarch’s direct tone addressing the problems of terrorism and jihad stands in stark contrast to the silence of the leaders of other Muslim countries. While other Muslim leaders have remained silent before the tragedies caused by terrorism, this is the first time that a Muslim leader, in his capacity as Commander of the Faithful, has adopted direct language condemning terrorists, and calling for their excommunication. “Those who engage in terrorism, in the name of Islam, are not Muslims. Their only link to Islam is the pretexts they use to justify their crimes and their folly. They have strayed from the right path, and their fate is to dwell forever in hell,” said the King. By focusing on the fact that terrorists are not Muslims and stating that they “are condemned to hell,” the king showed the courage to put them outside the Muslim community and controvert the obsolete idea that the Muslim community cannot excommunicate a person as long he or she professes his or her faith. In addressing the issue of terrorism citing texts from the Quran, the King sought, first, to counter the media hype and demonization that, in recent months, has targeted Muslim communities in Europe and the United States and, in particular the Moroccan community. The King spoke for the first time to the Moroccan diaspora, urged it to be at the forefront of peace advocates, pointing out that terrorism is alien to the traditions of Islam in Morocco. 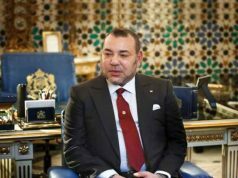 Through this message, Mohammed VI sought to refute the accusations recently made by U.S. presidential candidate Donald Trump, who has accused Morocco of exporting terrorists. The king, who is also Commander of the Faithful, has fully assumed his role of religious leader and called on the Moroccan community worldwide to draw on the tenets of its religion, which calls on believers to live in harmony with others, regardless of their religious beliefs. Again, this is the first time a Muslim head of state has urged his fellow citizens to give the best of themselves and to respect the laws of their host countries. In addition, by recalling the tragedies that terrorism is causing worldwide, the king said explicitly that Morocco was among the first countries to have been affected by this scourge. Second, the speech also aims to give a clear answer to media and Western analysts who often point to the lack of Muslim voices condemning terrorism. Many who have called for Muslims to stand against terrorist acts committed in the name of Islam seem bent on asserting that their failure to condemn terrorism is evidence that violence is inherent to Islam. The king’s explication of jihad and the rules governing it, including the conditions under which it is applied negate the allegations of those who claim that Islam legitimizes the murder of innocent people. The king was clear when he stressed that the call to jihad can be ordered only by the competent religious authorities and only in cases of self-defense. Through the religious texts he cited to substantiate his argument, the king, in his capacity as Commander of the Faithful, deprives terrorist groups such as Al Qaeda and ISIS of any religious legitimacy to appeal to jihad or represent the Muslim community. For the Moroccan monarch, these groups are mere criminal gangs who seek, through manipulation and lies, to attract young Muslims who through loss of identity in Europe and Muslim countries are seeking an adventure that can give meaning to their existence. By evoking the texts of the Quran and stressing that terrorist groups exploit the confusion, loss of identity, and ignorance of the Arabic language among some young Muslims, particularly in the West, the king sought to say unequivocally that these terrorists cannot be considered Muslims and that Islam cannot be accused of being a “breeding ground” for terrorism. The king rejected the call for reform of Islam promoted by some Western pundits, and stressed that the problem is not Islam, but the manipulation and brainwashing of some young Muslims by terrorist groups. 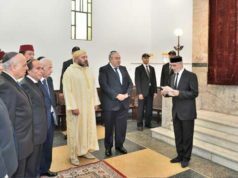 When the Moroccan monarch called on Muslims, Christians, and Jews to unite against the threat of terrorism and against stigmatization and exclusion, he sent an indirect message to Western media, urging them to reconsider their rhetoric on the issue of terrorism and their tendency to equate Islam with terrorism. The message that the royal speech sought to convey is that Islam is not the cause of terrorism, but one of its first victims, because of what he called the “miscreants” who merely “propagate falsehood in the name of God and the Prophet.” Hence the need for the Western media and observers to find a new approach to understand the the scourge of terrorism, far from demonization of Islam or dehumanization of Muslims. The royal speech has closed the debate on the relevance of the dominant analysis in the West as to the cause and effect relationship between Islam and terrorism. Thanks to the echo it has left internationally, Morocco is solidifying itself as a global model in the fight against terrorism and religious fanaticism and flag bearer of the true values of peace and tolerance preached by Islam. 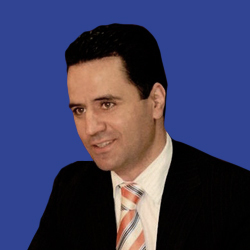 Moroccan diplomacy should use the momentum the speech has created to turn religious diplomacy into one of the major tools of the international projection of Morocco and the main interlocutor of the international community in the fight against extremism and the promotion the values of coexistence and tolerance.